On the 2nd day of January in 1920, Isaac Asimov was born. Perhaps. Maybe. No one knows for sure, not even him. It wasn't until after being probed by aliens and slapped around the face with a wet kipper by a sentient cyborg that Asimov decided to celebrate his birthday today. No one knows why. But some blame the worms. Yes, Isaac Asimov is best known for his ability to communicate with Worms. From the age of three, when Asimov moved to the United States with his parents, or the other way round, these Worms controlled him, manipulated him, and spied on him when he peed. The Worms taught him to read and write. To ride a bike, and to rub a duck. But these little perverts weren't all nice. They had a plan. They wanted to be famous. They told Asimov stories of a fantastical nature. Showed him how to write them down, forced him to write query letters to literary agents and publishers, and stroked his goat when the rejection letters came in. They forced him to continue, comforting him in the hard times, wiping his tears away, and tickling the rings of Uranus. They knew he would make it. And he did. Those stories were accepted for publication. And soon after, Asimov became a best selling Sci-Fi author. The Worms insisted Asimov reveal to the world their intelligence. They wanted to be rich. To go on talk shows. To Dance With the Stars. To cook on Masterchef. To wrap themselves around his iRobot and whisper romantic rhymes to the one-eyed snake. However, Asimov betrayed the worms, gathering them into a bucket and leaving them outside for the aliens to eat. 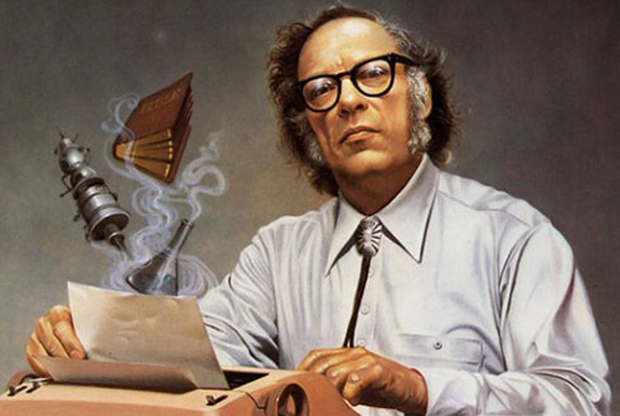 Isaac Asimov took all the credit for writing some of the best science fiction stories ever written. The worms were forgotten. 1) Isaac Asimov chose the date of his birthday as January 2nd. His actual birthday is unknown. It is thought it was anywhere between the 4th of October 1919 and the 2nd of January 1920. 2) Asimov was born in Russia. It was in Petrovichi, near Klimovichi in the Gomel Governorate. He moved to Brooklyn, New York, in the United States of America in 1923, with his parents, Anna Rachel (maiden name Berman) and Judah Asimov. 3) Isaac Asimov wrote and edited over 500 books. Not only that, he also wrote over 90,000 letters or postcards. His works are in 9 out of the 10 categories in the Dewey Decimal System. At Boston University's Mugar Memorial Library, his personal papers are archived in 464 boxes on over two hundred feet of shelf space. 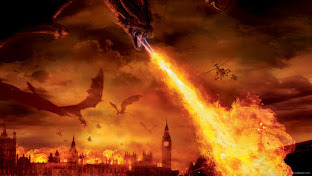 4) Isaac Asimov was afraid of flying. He hated it and only flew twice in his life. The first time he flew was at the Naval Air Experimental Station. The second was to return home from an army base in Oahu. Although he was known to enjoy small, enclosed spaces. 5) Isaac Asimov really did teach himself to read. Even as a small boy, Asimov was a genius. He taught himself to read and write at the age of five. By the time he was fifteen he was writing science fiction stories. Not long after that he was selling them to pulp magazines. 6) Asimov's first published story was Marooned Off Vesta. He was eighteen at the time, in 1939, and sold his second soon afterwards. Two years later in 1941 he had published Nightfall, his 32nd short story. Science Fiction Writers of America voted in 1968 that Nightfall was the best science fiction story ever written. 7) Isaac Asimov coined the term "Robotics". 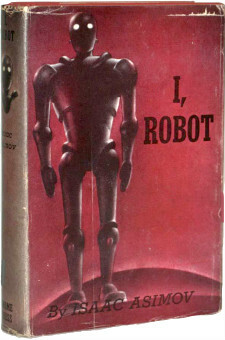 One of Asimov's most famous stories is "I, Robot", which was eventually made into a movie starring Will smith. In his story anthology, I, Robot, Asimov created the Three Laws of Robotics, covering ethics for robots. 3. A robot must protects its own existence as long as such protection does not conflict with the First or Second Laws. 8) He loved to write Limericks. The dirtier the better. He published his first compilation of limericks in 1975, titled Lecherous Limericks. Bit it made girl parishioners happy. 9) Isaac Asimov was friends with Gene Roddenberry, creator of Star Trek. The two were best of buds, although they did have their problems. During a screening of Star Trek: A Motion Picture, the first of the Star Trek films, Gene Roddenberry had to shush Isaac Asimov as he was giving a commentary of the film to those around him. Asimov said of the incident: "Not sure I remember that. But, it rings true. I'm always talking." 10) Isaac Asimov died on April 6th, 1992, as a result of an AIDS related complication. Asimov's widow, Janet Asimov, kept the cause of his death a secret for over ten years. Both Asimov's wife and also his brother, Stanley, reported Isaac had died from heart and kidney failure. In Janet Asimov's edition of Isaac Asimov's autobiography, It's Been a Good Life, she admitted the heart and kidney failures were a result of a HIV infection. He had undergone a heart bypass surgery in 1983. During the procedure he was given infected blood in a transfusion. As a result he contracted HIV. And it was this that eventually led to his death nine years later.